You and your family deserve painless, patient-centered dental care to keep your mouth healthy and smiles beautiful! 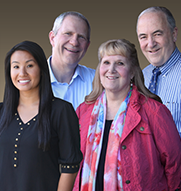 At Meridian Dental Clinic, Dr. Mark Walker, Dr. Bryan Edgar, Dr. Linda Edgar and Dr. Lindsey Yap have over 100 combined years of dental experience: They use leading-edge techniques and advanced technology to ensure your best oral health. Along with our team, our doctors deliver personalized care that’s tailored to your concerns and desires. We focus on preventive care to keep your teeth and gums healthy. 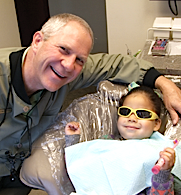 When more intensive treatment is needed, the doctors use conservative, minimally invasive techniques to ensure the best results for your smile. Please contact our Federal Way, WA dental office to learn more and schedule a complimentary consultation. We serve Tacoma, Auburn, and surrounding areas. The doctors and team members at Meridian Dental Clinic look forward to welcoming you to our practice. We’d love to help you achieve a lifetime of beautiful, healthy smiles. Call us today!